We’re determined in our mission to make Britain Street Fit® and we’ll remove any and every barrier that stands in the way of those who want to revolutionise their lifestyle. If you’re sitting at home (or work) reading this on your PC, laptop, iPad or iPhone and you’ve considered attending one of our Street Fit® Instructor’s Courses, we have a simple question for you: What’s been stopping you? 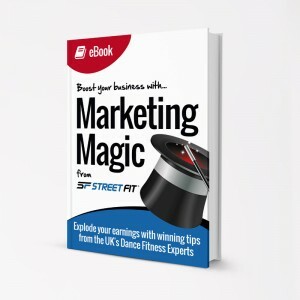 Fortunately, we’ve taken a huge step forward in solving those issues and opening up the UK’s only certified Hip Hop Workout® to everybody – online learning. Online learning offers potential instructors the opportunity to study from any environment with Internet access. Now you can be certified as a licensed Street Fit® Instructor quickly and easily without having to wait to attend a group course – and at no extra cost! Sign up for online learning today and within a week you will be on your way to a whole new career. Just imagine the excitement when your online learning pack arrives in the post. Now imagine how you will feel when you’ve passed your course and awaiting your Licence. Just as in the standard Instructor’s Course, to successfully complete the online course you will need to demonstrate your ability to pick up the moves and safely teach a class. You will therefore still need to pass a practical assessment and multiple-choice questionnaire. However, you will have the luxury of six weeks to submit the assessment, via CD, DVD or YouTube. 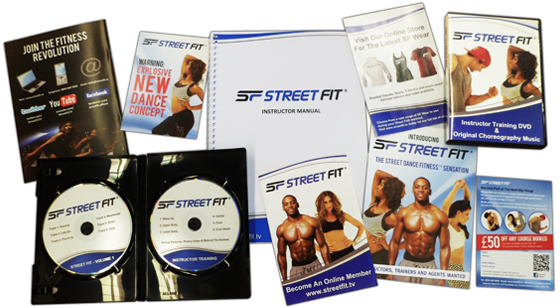 You are required to submit a video for each of the 6 modules of the Street Fit® Workout. 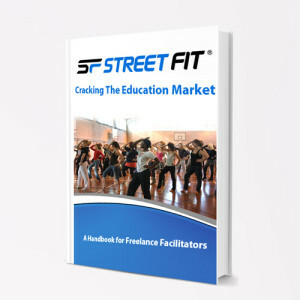 This can be sent via CD, DVD or private YouTube link and will demonstrate your teaching of a Street Fit® class. This is a short multiple-choice questionnaire testing both your knowledge of the Street Fit® License and the key elements of teaching a Street Fit® class. Your written assessment can be sent to you on request, once you feel you are ready to complete. If you are not a UK resident, then we are excited to announce that Street Fit® online learning is now available for members of other EU countries, for example France, Germany and Belgium. Non-EU countries (e.g. the USA and Australia) will be added shortly; please check our Facebook page regularly for updates. Online courses are aimed mainly at intermediate or advanced dancers/fitness trainers who ideally already run regular classes. Beginners are strongly advised to book a place on one of our standard Instructor’s Courses where additional support will be on hand. Street Fit Online Learning is designed for adult classes. For those interested in running children’s classes, the routine and class structure will be made available on successful completion of the course. Please allow 24 hours for activation.